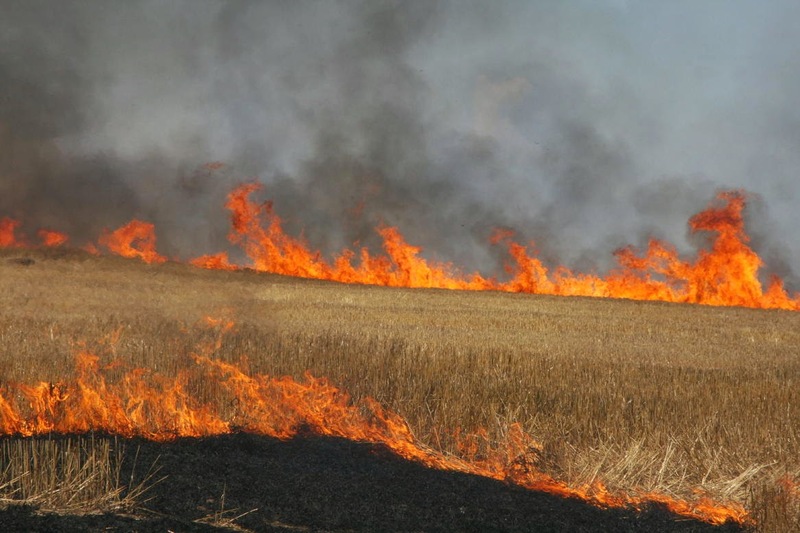 A dozen or so years ago, I drove past a farmer's field that was smoking from a recent fire. I had never seen this before, so I thought something tragic had happened. But then a few miles down the road, I saw another burned out field. And another. This was the first time I realized that farmers occasionally burn fields to kill all the old growth and weeds. Then, I suppose, they turn the soil and plant something new. It's like a clean slate. A field that used to grow soybeans can now grow corn. Sometimes in my life, I have felt like there were fires burning all around me. Usually when that happens it feels like my life is falling apart and I have no idea how to put the pieces all back together again. But that's just it. Sometimes the pieces have to be destroyed so they can no longer be put back together quite same way again. In the thick of things, we can't always see the wisdom of that. We just see everything falling apart and worry we'll never recover. But then when all the smoke clears, the path we seek to recovery—and even triumph—becomes visible. And as we take steps down that path, we can look back and see everything from a new perspective. We can see why it all had to be. Throughout my life, I've experience a number of these fires. Some of them were even tragic. But they have all blessed my life with some sort of insight, wisdom or calling that brought me to a better place. And by calling, I mean some sort of change I had to adjust to and work with...some sort of loss within myself I had to fill or bridge with a new way of being. It might have been a new state of mind or new behavior I had to adopt to make forward motion possible. All I know is that there has never been a fire in my life that hasn't led to a more capable, evolved and wiser me. Sometimes fires happen to you and you're compelled into change. And sometimes you set them yourself, clearing what no longer serves to make space for new growth and a more evolved life. Either way, the fire tempers us and makes us stronger, as it does with steel. And what once looked like the end of the world, ultimately gives way to a beautiful, new beginning. Adapted from a post originally written on 5/4/12.